The KeyTech Group of Companies today [Dec 30] announced a loss of $3.1 million for the six-month period ended September 30, 2015, compared with a loss of $19.9 million for the same period in the prior year. “This is an improvement of $0.1 million when normalized for the loss on the sale of BTC. The loss for the period is related to one-time costs associated with the merger of Bermuda CableVision Limited and Logic Communications Ltd. [Logic], redundancies and increased finance costs,” the company said. 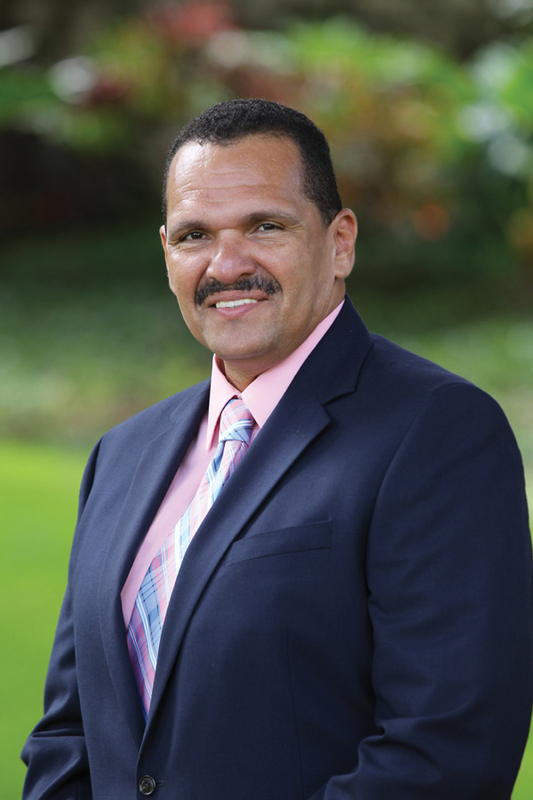 KeyTech CEO, Lloyd Fray [pictured] commented: “KeyTech continues to execute its strategy to strengthen its market position through acquisitions, mergers and investment in fibre networks in both Bermuda and Cayman. “The telecommunications market in Bermuda has undergone a major transformation as the industry embraces technological advancements as well as growing consumer demand for bandwidth, while operating in a challenging economic climate. As a result, KeyTech sought and negotiated an equity injection to strengthen its balance sheet and reinforce its product offerings so it can expand its product base from triple-play to quad-play services. “In October 2015, KeyTech entered into an agreement with Atlantic Tele-Networks, Inc. [ATN] for KeyTech to acquire ATN’s shareholding in CellOne in exchange for $42 million in cash and shares in KeyTech, which will result in ATN having a 51 per cent interest in KeyTech. The company said, “In July 2015, KeyTech acquired the remaining shares in Bermuda CableVision and subsequently merged CableVision with Logic Communications. The combined entity now operates as Logic and offers customers internet access, ISP services, subscription television and long-distance voice services. In early 2016, Logic will continue investing in its access network with additional fibre that will increase bandwidth, improve the overall customer experience and push fibre closer to the home. “In August 2015, Logic increased its off-island bandwidth and is expanding its fibre footprint in the City of Hamilton. These investments will allow Logic to offer end-to-end corporate solutions that will include the local loop portion for dedicated internet and MPLS services. “Logic Cayman has completed its network and operational integration following the acquisition of WestStar TV. Networks have been converged and operations and workforces have been streamlined. Additional off-island capacity has been acquired and the build out of the fibre network continues. The assets of the broadcast business were sold in July 2015. “Operating revenues for the period were $46.0 million. Data revenue growth primarily is being driven by the success of Logic’s bundled product of internet access and ISP in Bermuda as well as growth in Cayman. Television revenues increased from the acquisition of CableVision and WestStar. Voice revenues declined $0.1 million as customers continue to move towards cellular and internet-based voice services. “Total operating expenses increased $22.8 million. The increase is directly related to the addition of both Bermuda CableVision and WestStar operations, including programming content costs for subscription-television services in both Bermuda and Cayman as well as an investment in international connectivity for MPLS services. Depreciation and amortization increases were driven by both purchase price accounting and increased depreciable assets from the BOTCAT acquisition. The increase in Government taxes is directly correlated to the increase in revenues. “KeyTech’s long-term debt was reduced by $3.2 million during the period. The company purchased the minority shares of Bermuda CableVision for $3.4 million, of which $1.6 million has been claimed as of September 30, 2015. At the close of the ATN transaction, the company will retire the $24.7 million of subordinated debt. keytech needs to do more investment in Bermuda and stop wasting money in cayman. went to the shareholders meeting this guy could not respond to any questions and as for the chairman of the board I don’t know why he was even there another dope. And in 2016 the fastest Internet speed is still only 25Mb which costs around $250 which is unbelievable. It’s almost hard to imagine that we have a ton of bandwidth available to Bermuda through sub-marine fiber yet there has been no change in speed since 2012 with the introduction of 15mb and 25mb. Wasn’t Cablevision giving away 50/100/300 as prizes at one point? So what is really the issue? Bermuda is behind other jurisdictions in terms of speed and costs. You would think with a 6 billion GDP for only 60 thousand people we would have at least 100Mb as the fastest speed. But no, these companies are more concerned about moving debt around which has not benefited the consumer. There is little innovation in the telecom industry and if anything it has contracted as a result. The RA should have blocked all the mergers. Cablevision was a pioneer and lead the race of innovation.